I have been fielding many questions about fleas, ticks, and other parasites since it is that time of year in many areas. Fleas are one of the most difficult parasites to eliminate, so if you already have an infestation, there may be a few steps you need to take. Also, every animal in the home must be treated for fleas . . . . not just one or two. Before we get started, I will reiterate that I ONLY recommend Young Living products, as they are 100% pure therapeutic-grade essential oils and products that are genuine, free of synthetic chemicals, and of unmatched purity . . . . guaranteed from Seed to Seal®. Young Living is the only company that can make that promise. If you are already a YL member and are working from the Premium Starter Kit, there are a couple of ways you can begin holistic treatment. If you are not yet a YL member, I recommend you begin by becoming a Wholesale Member by purchasing a Premium Starter Kit (see below for further details on how to get started!). I also recommend additional products which are not included in the Premium Starter Kit, however, they are products that are quite effective and can be used for your animals, as well as yourself, thereby making them a great investment in everyone's health! Bathing ~ Thieves Household Cleaner, Thieves, Purification ~ If you wish to give your dog a bath, begin by adding a drop or two of Thieves and / or Purification to the bathing mixture. 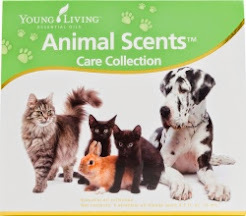 Always allow your pet the option of smelling the oils first, then let them decide which one they are comfortable with. You will be able to tell by their reaction and body language. Never force oils or treatments on any animal, as this will only cause them additional stress, which we do not want. Petting ~ Purification ~ If you want to treat for fleas right away, put 2-3 drops of Purification in the palm of your hand, then rub your hands together and use the "petting" method, where you start at the neck area, taking care to avoid the eyes, nose, and mouth. Simply "pet" or rub into their fur like you are giving a light massage, and work your way down and around their body, making sure to get underneath to their belly and down their legs, feet, and tail! Again, start with less oil and just do a light massage to hit all areas. You can reapply again as needed, however, be sure that your pet accepts the oil(s) and give them the opportunity to leave if the oils make them uncomfortable. Diffusion ~ Black Pepper ~ Flea Bomb Recipe ~ Although not commonly used in animals, it is used for the Flea Bomb Recipe, which is a super powerful treatment and should only be used for bad infestations. It is best to evacuate the premises when using this method, including all animals, fish tanks, humans, etc. This method requires an air diffuser, therefore I will not go into the entire process here, however, I would be happy to privately consult on this method. Please feel free to contact me directly for further information. Supplements ~ Longevity, NingXia Red, Sulfurzyme, Omega Blue, and MultiGreens. Healthier pets are far less attractive to fleas and other parasites, therefore supplementation is highly recommended. Raindrop Technique® ~ This method combines the art of aromatherapy with the techniques of Vita Flex and massage in the application of essential oils to various areas of the body. This collection provides a revolutionary means of bringing balance and harmony to the body ~ physically, mentally, and emotionally. Used in severe situations up to once per day. Fleas dislike many of the Raindrop Technique oils, and this technique also strengthens the immune system, which makes dogs (and other animals) less attractive to flea infestation. Modifications can be made by adding in other insect repelling oils. The Raindrop collection also includes an instructional DVD and mini brochure that teach you how to perform the Raindrop Technique®. Cleaning ~ Cleaning, laundering, and spraying with Thieves Household Cleaner indoors and out is highly recommended. Be sure to include bedding, blankets, furniture and other areas your pet frequents. You can also add a few drops of Thieves or Purification to the laundry for an extra boost. Topical ~ Bathe with Thieves Household Cleaner (can add a drop or two of Purification as well). Kitty Raindrop Technique® ~ Modified with Palo Santo and Purification, apply up to once per day. Fleas particularly dislike the KRT solution, and it is helpful to apply this solution where fleas tend to be the worst on your kitty . . . . generally the rear end area. This method combines the art of aromatherapy with the techniques of Vita Flex and massage in the application of essential oils to various areas of the body. This collection provides a revolutionary means of bringing balance and harmony to the body ~ physically, mentally, and emotionally. Used in severe situations up to once per day. The Raindrop collection also includes an instructional DVD and mini brochure that teach you how to perform the Raindrop Technique®. Petting ~ Purification or Kitty Raindrop Technique ~ If you want to treat for fleas right away, put a 2-3 drops of Purification in the palm of your hand, then rub your hands together and use the "petting" method, where you start at the neck area, taking care to avoid the eyes, nose, and mouth. Simply "pet" or rub into their fur like you are giving a light massage, and work your way down and around their body, making sure to get underneath to their belly and down their legs, feet, and tail! Again, start with less oil and just do a light massage to hit all areas. You can reapply again as needed, however, be sure that your pet accepts the oil(s) and give them the opportunity to leave if the oils make them uncomfortable. My kitties do not particularly care for the smell of Purification and are more comfortable with other essential oils such as Palo Santo. Supplements ~ NingXia Red, Sulfurzyme, Omega Blue, and MultiGreens. Healthier pets are far less attractive to fleas and other parasites, therefore supplementation is highly recommended. Birds / Ferrets / Exotics, Horses & Large Animals ~ Each animal is an individual and requires slightly different treatment, therefore should you have questions regarding these types of animals, please contact us directly for additional information. With YLEOs, always start with less, or pre-diluted oils, especially on smaller pets, as you do not want to overdo it by applying too much oil. A little goes a long way, and many oils work better when diluted. You can always reapply later if necessary. 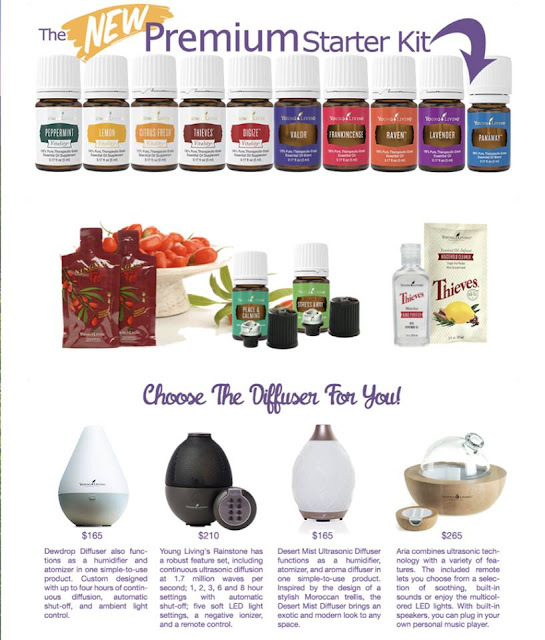 To learn more about the best way to use a specific oil or supplement, please consult the Animal Desk Reference for animals, or the Essential Oils Pocket Reference or Desk Reference, if for yourself or other persons. These recommendations are merely a starting point and are truly only a partial list of products that can be used to treat your animals.